BBX JEWELRY Genuine medical jewelry Professional manufacturer. These medical jewelry are beautifully crafted and will enhance any wardrobe making it the perfect gift for that special someone. This item is brought to you by BBX JEWELRY, a leader in designer and trendy fashion jewelry. 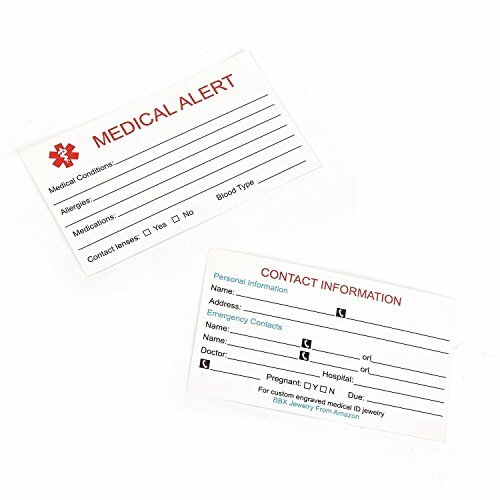 It is important to engrave the pertinent information that would be helpful to an Emergency Medical Technician (EMT) or other first responder in the event that you are unable to communicate for yourself.All medical alert jewelry can get a free customizable medical alert wallet card. Easily provide your custom engraving by selecting the CUSTOMIZE NOW button to the right.Custom engraved in high contrast black lettering to personalize your medical message. 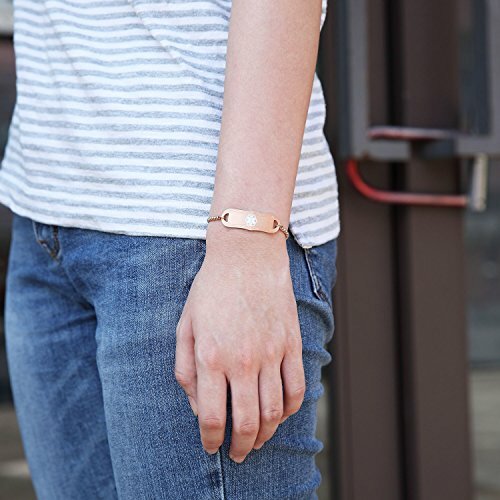 It's important to note that every custom-engravable medical ID is just that: custom engravable. 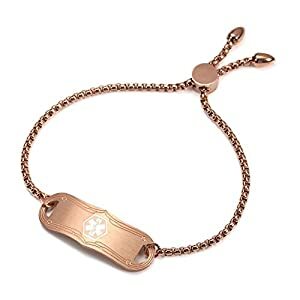 That means the same BBX JEWELRY medical ID will work whether you need a medical ID for diabetes,Asthma,Blood Thinners, Epilepsy,Food Allergies,No MRI,Pacemaker ,Autism,lymphedema, gastric bypass, or any other condition. 95% of first responders report they check the neck and both wrists of unresponsive patients, so despite the type of medical ID you choose, in an emergency, your medical ID may advocate for you. If you are a caregiver, then you should also wear a medical ID to alert emergency personnel of your loved one who needs attention. Let your medical identification jewelry speak for you when you can't. 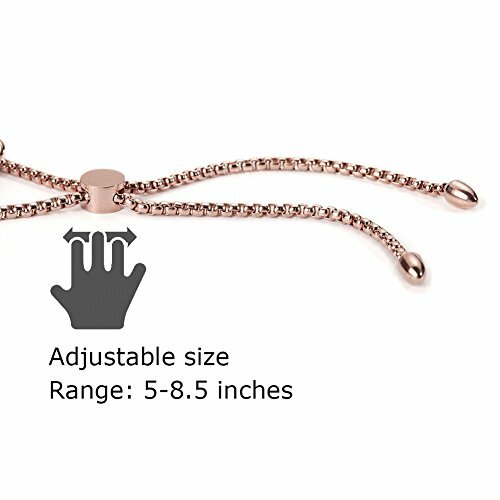 Adjustable length medical alert bracket, range (5-8.5 inches),All medical alert jewelry can get a free customizable medical alert wallet card.Please visit BBX JEWELRY,Browse more bracelet and ID tags.